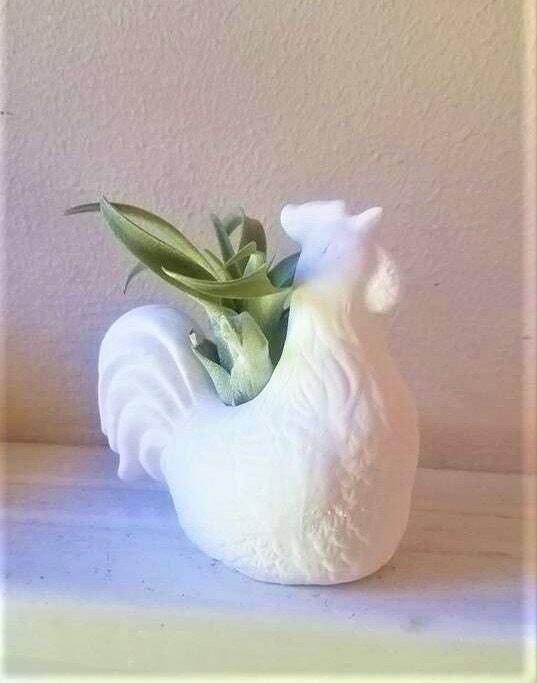 This sweet, simple rooster statue measure 4" x 4". 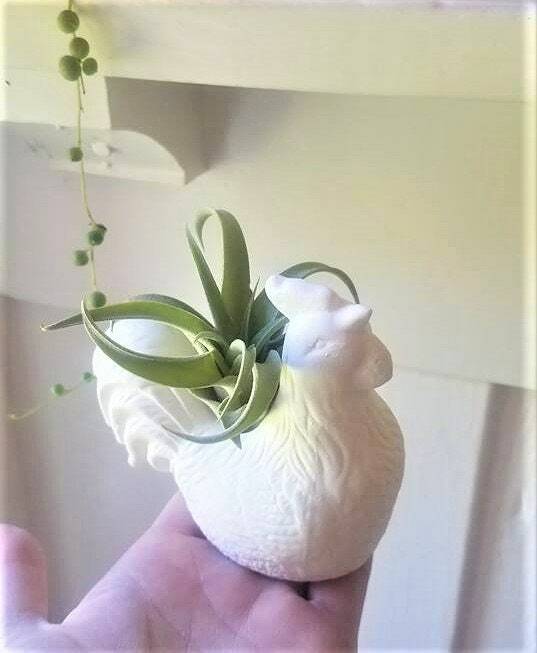 Designed to hold a small air plant. 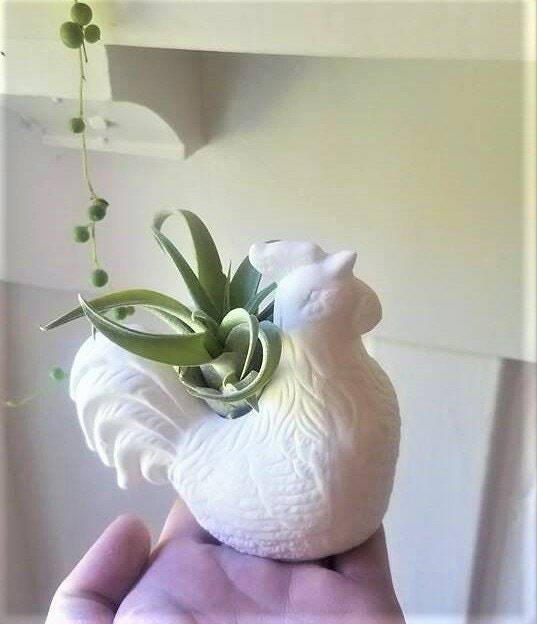 Will come with an air plant and care instructions. 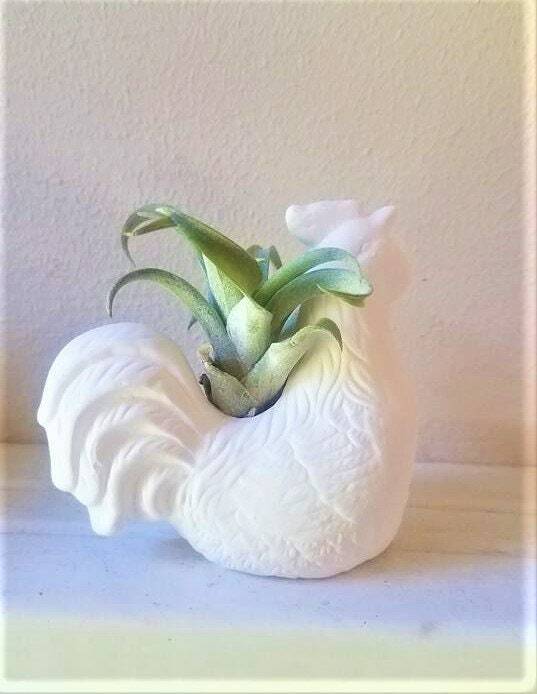 Shown here in matte white, I am happy to make this little fella in any color you like! Check out the options and send me a message if you have a custom request. 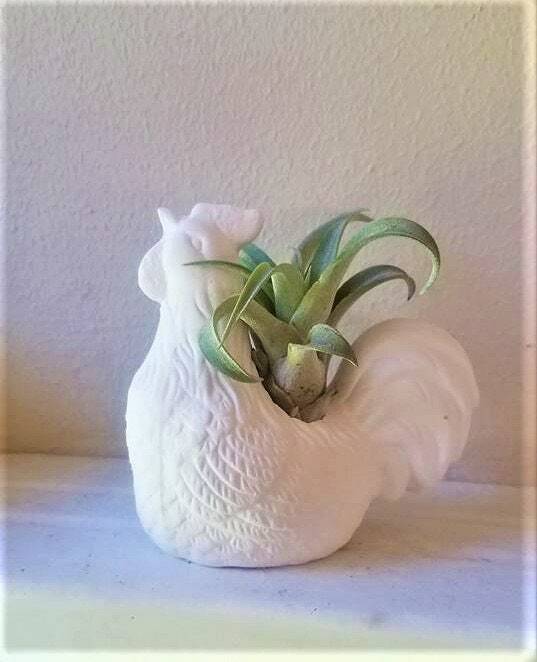 See my shop for more unique planters! * I make each item from scratch, expect to see signs of my handmade process. Beautiful piece! 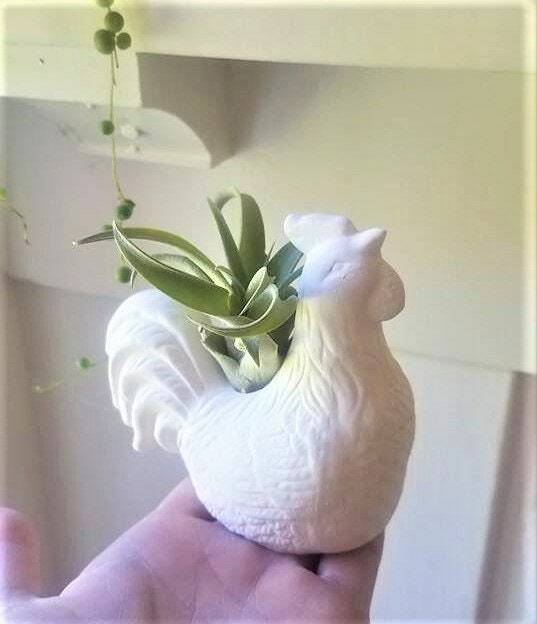 Giving this to my mom as a birthday present. Thank you!!! !